Tired of those keys jingling in your pocket on your morning run? Then you need the Shoe Pocket by our friends at Chums. This convenient little pocket attaches easily to your shoe with a reflective Velcro strip. 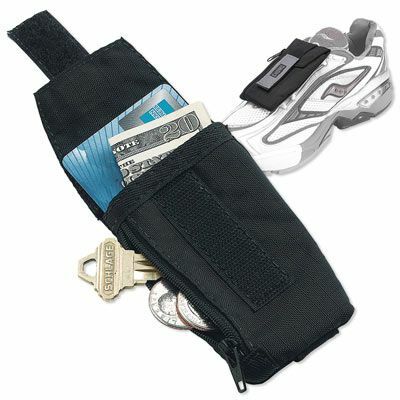 With its 2 small pockets, there’s room for keys, cash, ID, and credit card.